With more than 20,000 RV Parks in the U.S., it can be a daunting task to decide where to stay. Sometimes you just need a place to park for the night, and a dusty lot next to the highway will be just fine, thank you. But when you’re planning to stay a while, it’s worth some consideration. There are some real gems to choose from – if you know where to look. Aim your sights on a site set amongst some of this country’s most spectacular and awe-inspiring views. Here are our top picks. 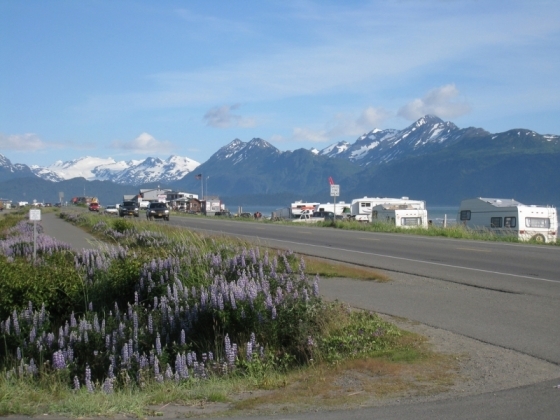 Situated on the Homer Spit extending into Kachemak Bay, Heritage RV Park offers panoramic scenic views of the beautiful bay, as well as Kenai Fjords National Park in the distance. 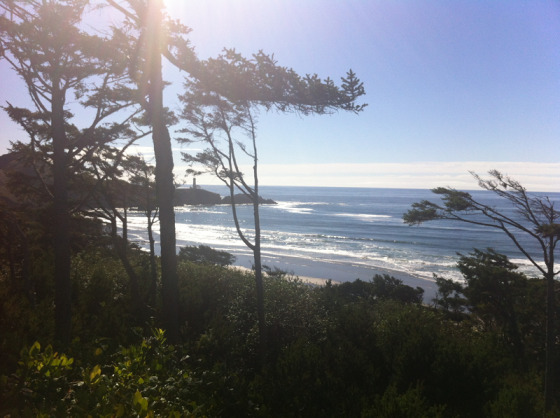 Enjoy beachcombing, birding, clamming or just a leisurely stroll along the half mile of private beach. Or simply sit and enjoy the peace at your private picnic table and firepit. 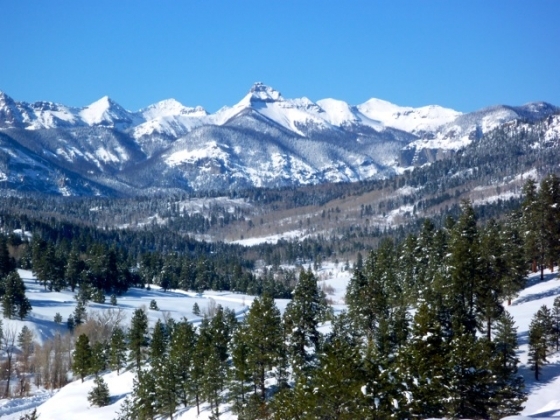 Nestled within the grand views of the San Juan Mountains in Pagosa Springs, Colorado, Sportsman’s Campground is the ideal place to relax and leave the crowds behind. At an elevation of 8,100 ft, the 10 acres ponderosa pines campground are perfect for hiking, fishing and enjoying the scenic views. Hike to the beautiful Piedra Falls, take a guided horseback ride to Ice Cave Ridge or just sit back and enjoy the quiet! This park is a short hike away from the beautiful Tahquamenon River and its iconic waterfalls. The Upper Falls, the centerpiece of the park, spans 200 feet across the river and drops nearly 50 feet. The Lower Falls, which is four miles downstream, is actually a series of five smaller falls cascading around an island and is equally scenic. The park is also home to 50,000 acres of quiet, undeveloped woodlands with hiking trails, camping, backpacking and fishing. 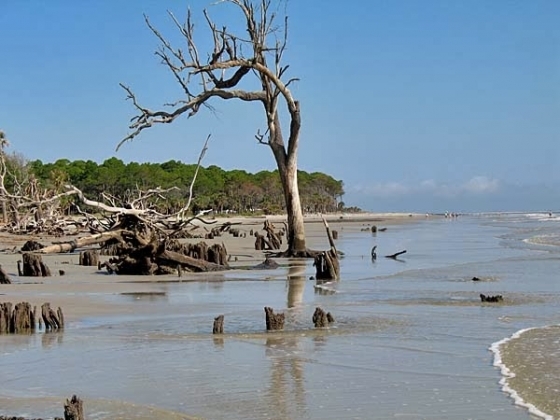 Hunting Island State Park sits on a 5,000 acre, secluded semi-tropical barrier island, boasting over five miles of pristine South Carolina beach. The park also includes thousands of acres of marsh, a saltwater lagoon and an ocean inlet. Climb to the top of Hunting Island Lighthouse, one of the most distinctive lighthouses in South Carolina, to catch panoramic views of the Atlantic coast and surrounding maritime forest. Colter Bay Village RV Park is located on the shores of picturesque Jackson Lake with the majestic Grand Tetons as a backdrop. The park gives visitors easy access to Grand Teton National Park and nearby Yellowstone National Park. The area offers an endless number of outdoor activities, including hiking, horseback riding, lake and fly fishing and white water rafting – the options are as endless as the spectacular views. 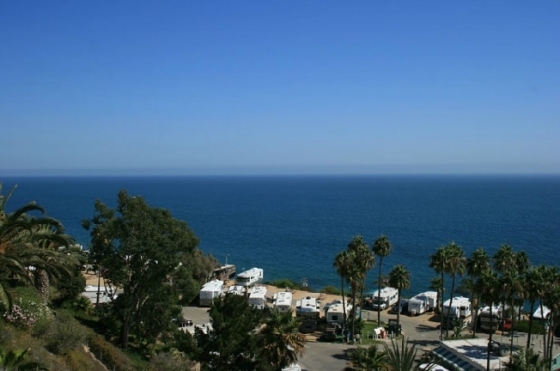 Fall asleep to the sound of crashing waves… Located on a bluff above the Pacific Coast Highway in the quintessential California beach town of Malibu, the park boasts 180 degree views of the white sand beaches of the Pacific. Malibu is a great location for sightseeing and enjoying all Southern California has to offer, and the weather is temperate all year round. Expect to pay a premium for a piece of this prime real estate – even more for a site with an ocean view. With the Pisgah National Forest as the backyard, Brown Mountain Beach Resort on Wilson Creek offers an unpretentious atmosphere in the Western North Carolina Mountains. Imagine a relaxed visit amidst the splendor of summer blooms, butterflies, with the backdrop of Wilson Creek Gorge. The riverfront RV sites include a fire pit and picnic table for enjoying the view. 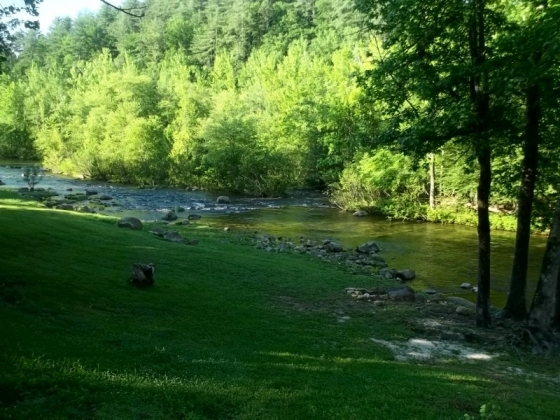 The creek runs right through the resort offering a mile of lazy river to raft, tube or canoe. 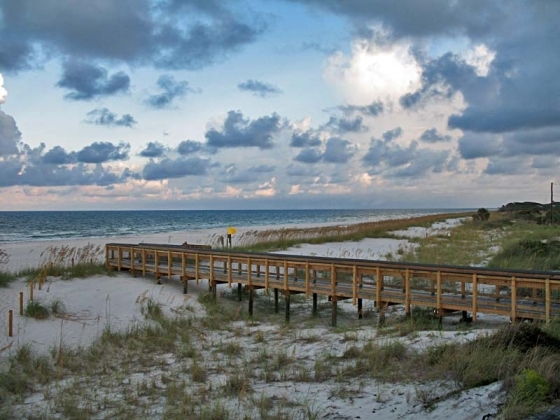 With two campgrounds (Gulf Breeze and Shady Pines) guests of St. Joseph Peninsula State Park have the options of a shady spot under the pine trees or a gulf view spot where you can hear the waves from your site. The sugar sand beaches offer a quiet place for a walk and are a shell collector’s paradise. Spend your days watching the dolphin and marine life then settle in to enjoy the spectacular evening sunsets! Perched on a cliff overlooking the Pacific Ocean with Yacquina Bay Lighthouse in the distance, the resort offers beautiful views of a never-ending show of boats, gently lulling waves and fascinating wildlife. Take a leisurely walk on the beach or relax by one of the resorts pools, saunas or fireplaces. Nearby Newport’s Historic Bayfront district’s quaint village and boardwalk are a lovely place to stroll away an afternoon. With more than 3,500 feet of Atlantic shoreline along the entrance to Acadia National Park, guests can enjoy nature’s beauty from the private, rocky beach at Bar Harbor Oceanside KOA. The park rents kayaks… and vintage Airstream trailers! It also boasts a coffee shop, live music (occasionally), and a stand where guests can buy live Maine lobster. Rumor has it that the best views are to be had at campsite #272.